The 2016 Holiday shopping season is finally here, thus it is important to be aware of all the shopping trends and other details present online. With various elements participating in this booming business, this holiday season is expected to exceed last year’s boom and be the biggest shopping season yet. So be prepared to get hold of some of the best deals! Holiday season sales and marketing endeavors have already launched exclusive promotions especially Black Friday sale for holiday shoppers. In the given below are the essential things shoppers must be aware of before spending on your shopping. A Deloitte holiday shopping survey was conducted this year that suggests that the holiday season of 2016 will become a significant breakthrough. This is so because consumers, instead of going to physical stores, have planned to do shopping more on ecommerce stores . It is stated by the customers that their shopping budget comprises 47% of their holiday shopping from online, and 47% will head to the physical stores for purchasing. Depending on the projected boost in online shopping, UPS is anticipating that when contrasted against 2015, from Thanksgiving through New Year’s, its shipping will increase around 17%. Subsequent to years of growing purchasing into the Thanksgiving holiday majority of the retailers are now perhaps understanding the fact that it’s not wise to open quick on Thanksgiving, or not even open in the first place. For example, for Thanksgiving 2016, the Mall of America chose to remain shut after staying open for the former three holidays. Stores such as Hhgregg and Office Depot/Office Max are following the increasing list of stores who decide to stay shut during the holiday.Perhaps because of the reason that Thanksgiving shopping is getting somewhat overlooked, Black Friday would get profit because of it. The world of ecommerce is full of original prices that at times are immensely high. So much so that some ecommerce websites have been sued because of the fact that their list prices are actually fake and that is so because then the inevitable discounts look even more alluring to the customers. Buyers are now anticipating markdowns at every website and that is so because at times the list prices are very unreal. The consulting firm Accenture did a survey in which it was found out that out of 4 among 10 buyers state that they would never or very seldom spend the complete cost of buying a product at the time of 2016 holiday season. During the holiday season free shipping promotions swarms everywhere. Many of the ecommerce websites like BestBuy, Amazon and Target are providing free of cost shipping. Also, there is no-minimum-purchase shipping rule, too. For retailers who are attempting to contend with Amazon, a highly preferred ecommerce website because of its quick services, providing fast and free delivery has become an important tool for other ecommerce businesses to stay in the competition. Furthermore, Amazon’s Prime members also relish the two-day free delivery on most purchases. Notably, perhaps it is because of Amazon that shoppers have made this notion that whatever they buy online should reach them free of cost and fast at the same time. Deloitte surveyed two-thirds of the consumers surveyed who stated that they must not only receive free delivery even for orders placed after December 17 but also get their product by Christmas. 88% of shoppers in the survey stated that for advanced delivery they will not spend an extra amount. Particularly, Walmart is organizing its stores with holiday helpers who will help the shoppers locate their desired products and do the shopping purchases in a quick time. In order to make the store environ buzzing, it is also incorporating the selfie stations and toy demos. Planning of target’s holiday incorporates unique value proposals, for instance, $10 off on buying $50 for a rotating assemblage of sections in the weeks starting up till Christmas, as well as Wondershop, which is an idea of a store-within-a-store that is hackneyed with 2,000 new seasonal items. In the meantime, deals and service having particular offers concentrated on layaway and price matching are being highlighted by retailers like Kmart and Toys R Us. We are excited to offer you early Cyber Monday sale 2015 and deals from thousands of advertisers online. Cyber Monday was once considered an afterthought to Black Friday but now it has transformed into a full-blown shopping day that claims some of the best online deals of the year. It originated as a day for online stores to have their own online Black Friday sales, focusing on electronics deals and tech products. Today, Cyber Monday sales can incorporate everything from home items and fashion, to toys and jewelry. It always falls on the Monday after Thanksgiving and Black Friday. Save during Cyber Monday and enjoy your holidays by getting the best of deals, sales and specials. Nike offers you best selling products of the season at lowest prices. Shop online now and get Nike shoes, clothing and gear for, men, women and kids starting as low as $16. Don’t wait!!! Quantities are limited! Nike holiday sale is going on! It is the perfect time to shop for the whole family! You can search for the latest updated Nike sale on running shoes, sports bra, shorts and much more. If you’ve shopped at Kohl’s online or in-store, you’ve seen the many kinds of discount coupons and codes that are there. In an official press release from 2014, Wal-Mart declared that their five-day long online sale would be “The New Black Friday.” Volume was at an all-time high, with Walmart.com claiming 1.5 billion page views on Monday, December 1st alone. With so much traffic and attention, it’s no wonder that they extended the shopping holiday to last an entire week. Last year, Wal-Mart Cyber Monday went as far as to double the amount of online deals offered in 2013. Along with doubling the amount of deals, prices dropped too. TV deals faced some of the larger price drops, along with Xbox One and PS4 bundles. This year’ online sale at Wal-Mart are expected to impress, especially since it has done so well in past years. Plus, we think it’s safe to say that Cyber Week will be making a return. Amazon proposed on Cyber Monday, with new deals happening every 10 minutes on the website, and “Lightning” deals taking place on the mobile app. These deals were continually being refreshed throughout the day, so be sure to plan your shopping accordingly, you’ll want to spend a lot of time browsing all the fresh deals. Overall, one of the biggest online shopping days of the year is sure to be a huge hit again, and Amazon is one of the top destinations for the best Cyber Monday deals. Cyber Monday should not be underestimated. In several aspects, the convenience of shopping from your own home and having the capability to compare prices from a variety of stores in a matter of minutes. There will be more of the same this year, with discounts of 20-50% off a wide range of products. If camping outside in the wee hours of the morning isn’t for you, do your holiday shopping in the comfort of your Pyjamas by taking advantage of Best Buy’s Cyber Monday sale! Up to $100 off Apple iPads. 40-inch HDTV’s around $300, 50-inch TV’s in the $475-550 range, 60-inch Samsung Smart TV for $800. Video games bundles discounted from $50-75 along with free games and accessories. Discounted Google Play gift cards, Nintendo eShop credit, and free iTunes gift cards with certain Apple products. Kohl’s will soon start their Cyber Week Deals Cyber Monday however Kohl’s will dedicate an entire week to Cyber Monday quality deals, with sales lasting through December 5, 2015. A wide variety of items are offered at huge price discounts, with stackable coupon codes available here for additional savings. Kohl’s offers Cyber Monday deals in every category, including clothing, jewelry, TV’s, electronics, toys, bed and bath, kitchenware, furniture and much more. Consumers typically find up to 50% off regular prices during Kohl’s Cyber Monday sales, with extra savings in the form of coupon codes and Kohl’s Cash, a form of store credit that can be used in-store, at a kiosk, or on Kohls.com purchases. Groupon 12 Days of Doorbuster event features 12 days of fresh new deals every day. You’ll find popular deals from every department matching any age group. Groupon is constantly giving coupon discounts every week now and so, if you plan to purchase some local deals voucher as holiday gifts, you can use coupon code for an extra discount on up to 3 local deals. And just in time for the upcoming holidays, Groupon also launched their Holiday Head Start page dedicated to bringing you amazing gift ideas. Don’t forget to check back every day because MyVoucherDeals.com will be offering you new Cyber Monday deals everyday from thousands of advertisers online. You are out for Black Friday shopping and find it hard to get through the crowds and the stores are unable to attend you because it is the busiest shopping day of the year. One solution that covers your entire shopping list, saves you cash and brings them to you hassle free is online shopping. Excited for the upcoming Black Friday and Cyber Monday sales, know the important reasons why shopping online is going to be a friendlier experience for you. While extra special offerings are available both in stores and online shopping, here are 10 reasons why you are better in the comfort of your homes, rather than fighting with your shoulders and driving miles to buy low-priced items. When stores lay out stuff for sales, a large number of people go through it. They buy what they like and keep back what they do not. After a few hours, most of the stuff is disorganized and you will be spending your energies looking through it. Shop online and get rid of confusion that arises from disorganized items and stock in stores. One click and you can select the size or color you want. Black Friday sales in stores are a really busy time when retailers shower the customers with discounts. Customers rush to stores for the limited items with vouchers and shopping becomes a race. If you want to enjoy deals and offers without the ruckus created by masses, you better click and purchase it. You can even be at work on that particular day and take few minutes out of your lunch break to order. If you have a big shopping list but not much time at hand, try not to waste any more in the stores. So much extra time is consumed in waiting and selecting products in stores that you might think about cancelling your shopping plans. Instead open ecommerce sites with Cyber Monday sale offers and fill your shopping with more excitement in less time. No time is consumed in putting on stuff for trials; you can search, browse and select very quickly online. The main attraction of Black Friday and Cyber Monday sale is discounted and cheap products. The prices are significantly slashed and many vouchers and coupons are given out to customers to shop more. It takes an awful lot of time to go from store to store looking for better deals. This makes your search difficult. 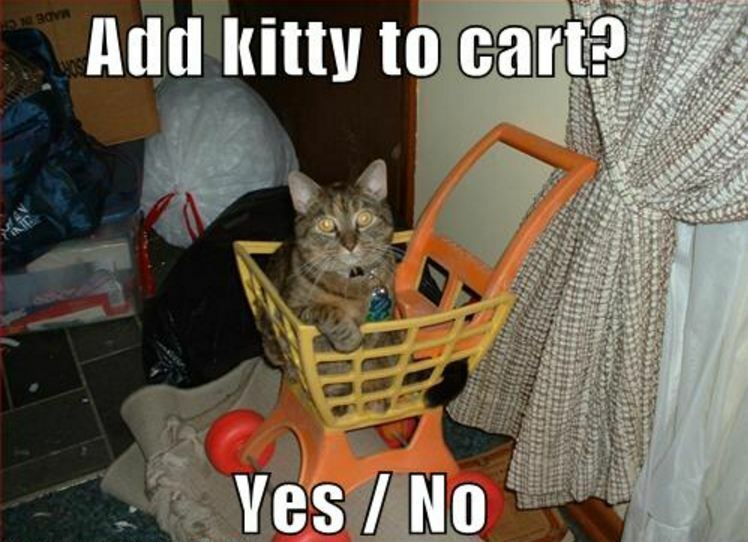 Shopping online solves this easily. How? There are dozens of websites and apps that bring you price comparisons for everything you enlist in your holiday shopping list. You can even make other plans and skip driving to the stores with online shopping. You shall no longer be worried about making time for shopping. Just order everything online and enjoy the weekend with family and friends. The money you save on gas is a perk as well. Ok, first you go to the store and shop and then end up waiting in a long queue. An alternative to this is faster checkout facility in ecommerce stores. You can pay and get rid of the long queues this Black Friday. You don’t even have to worry about carrying big shopping bags and boxes. Just order online and get free shipping, which all the online stores give customers during the sale with lots of discounts as well. Also the risk of damaging or losing your stuff is completely out of the picture. There is no dearth of options to shop online. Unlike in stores and retailers, you have limited options. Cyber Monday is filled with excellent deals and ecommerce stores giveaway so many gifts and bonus prizes as well. Most people enjoy shopping online because of this reason. You get exclusive access to web-only deals, where big brands tie up with e-stores to give you extra discounts and cheaper rates. Also the new stuff that is being launched in the holiday season is always on preorder first on the web only. Online stores do not compromise on quality and variety. There are always customer reviews and ratings available with each product. You can easily select on the basis of that. We hope you are going to have a great time shopping online and extract lots of fun from the Black Friday and Cyber Monday sales. You can also go for our hand selected deals available at MyVoucherDeals.com. Don’t forget to check back for daily deals!